If the investigation is neither effective nor purposeful nor objective nor fair, it would be the solemn obligation of the courts, if considered necessary, to order further investigation or reinvestigation as the case may be, to discover the truth so as to prevent miscarriage of the justice, said the Bench while asking CBI to investigate the case. 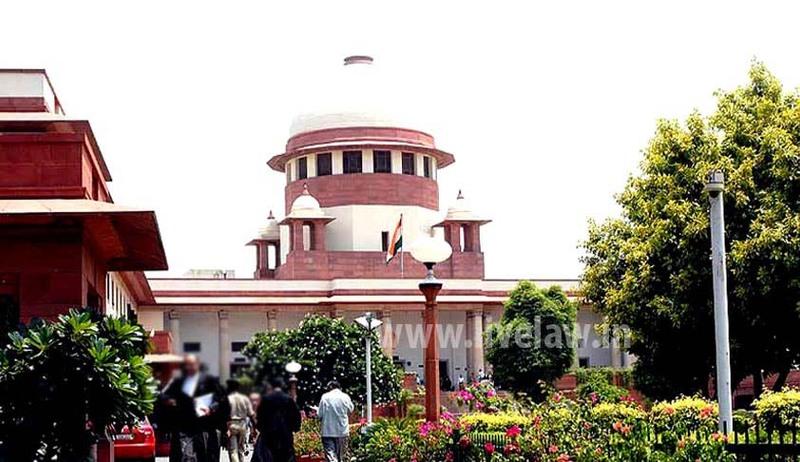 Supreme Court, on Friday last week, in Pooja Pal vs. Union of India, directed the CBI, to conduct a de novo investigation in the incident of murder of Raju Pal, the slain BSP MLA, by allowing an appeal filed by his wife Mrs. Pooja Pal. Apex Court Bench comprising of Justices V. Gopala Gowda and Amitava Roy said that pendency of the trial and the examination of the witnesses so far made is not a disarming factor to consider the necessity of entrusting the investigation to the CBI. BSP MLA Raju Pal was gunned down in a public place and his wife, Pooja Pal approached High Court seeking transfer of investigation to CBI. During the pendency of Writ petition, the State Government requested the CBI to take over the investigation which it inclined stating that, trial of the case was pending, the proceedings whereof however have been stayed by the High Court and that there was no interstate or international ramification of the case so as to warrant investigation thereof by the CBI. The High Court dismissed the Writ petition and there after the case was entrusted to CB CID by the State Government. The wife of the slain legislator approached Supreme Court. The Court observed, referring to its decisions in Zahira Habibulla H. Sheikh and Anr. vs. State of Gujarat and Ors. (2004)4 SCC 158, Babubhai vs. State of Gujarat and others (2010)12 SCC 254, Bharati Tamang vs. Union of India and others (2013)15 SCC 578, that if the investigation is neither effective nor purposeful nor objective nor fair, it would be the solemn obligation of the courts, if considered necessary, to order further investigation or reinvestigation as the case may be, to discover the truth so as to prevent miscarriage of the justice. No inflexible guidelines or hard and fast rules as such can be prescribed by way of uniform and universal invocation and the decision is to be conditioned to the attendant facts and circumstances, motivated dominantly by the predication of advancement of the cause of justice, the Court said. In Zahira Habibulla H. Sheikh and Anr. vs. State of Gujarat , the trial was completed and the accused persons were acquitted, the Court directed retrial as prayed for, to avoid subversion of the justice delivery system and ordered the investigating agency or those supervising the investigation to act in terms of Section 173(8) of the Code as the circumstances would so warrant. In Bharati Tamang vs. Union of India, the Court had held that the power of the constitutional courts to direct further investigation or reinvestigation is a dynamic component of its jurisdiction to exercise judicial review, a basic feature of the Constitution and though has to be exercised with due care and caution and informed with self imposed restraint, the plentitude and content thereof can neither be enervated nor moderated by any legislation. In Babubhai vs. State of Gujarat It was held that when the courts find extra ordinary or exceptional circumstances rendering reinvestigation imperative, in such eventualities even de novo investigation can be ordered. It was also held that in appropriate cases even, if charge-sheet was filed, it was open for the Constitutional Courts to direct investigation of the case to be handed over to CBI or to any other agency or to direct investigation de novo in order to do complete justice, in the facts of the case. Considering the facts and submissions made by the appellant wife of the slain MLA, the Court observed that, to rule out any possibility of denial of justice to the parties and more importantly to instill and sustain the confidence of the community at large, the CBI ought to be directed to undertake a de novo investigation in the incident. Asking the CBI to complete the investigate within six months; the court said “The clarion call of justice expects a befitting response from the country’s premier and distinguished investigating agency. “ The Court also directed the trial court to conclude the trial expeditiously within six months, after the CBI files report.